Mahatma Gandhi was a great spiritual and political leader during the Indian independence movement against the British Empire and other colonial administrations in South Asia. 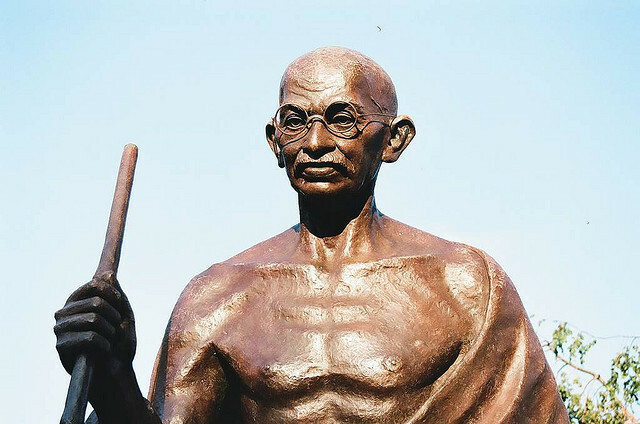 He developed the Satyagraha a philosophy that embraced the practice of nonviolent resistance; it was this philosophy that guided the Indian nation to independence with Gandhi at the helm. Gandhi is honored as the Father of the Nation and his birthday is recognized as a national holiday in India and also as the International Day of Non-Violence worldwide. His campaigns included the fight against poverty, injustice and violence. He also advocated for women’s rights and harmony between religious and ethnic entities.